Of all the places we travel and lead groups, we love Italy the most. One of the best discoveries was the town of Matera, which first gained fame as the shooting location for many scenes in Mel Gibson’s film, The Passion of the Christ. 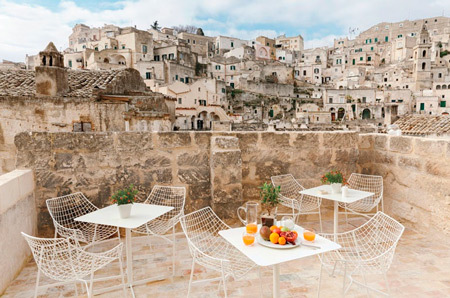 Visiting Matera is truly like stepping back in time. One of its most special and unique features is the cave dwellings, many of which have been inhabited since prehistoric times. We stayed at the amazing Sextantio Le Grotte della Civita and loved it. Now, there’s a new cave hotel that just opened. Looks fabulous, too!